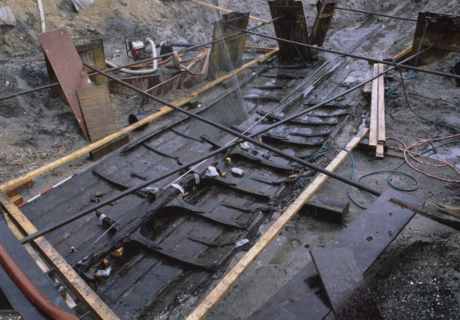 5 Comments on "USA: Viking Ship Discovered Near Mississippi River"
This proves what the descendants of Vikings in Minnesota have been saying all along, the Vikings discovered America long before Christopher Columbus! How did religion get mixed up with this conversation? Christ was on Earth way before Mohammed, even Muslims know that! I am English, My roots are from the Norman Conquest. At the end of the day, You are all of British Descent and subjects of Her Majesty Queen Elizabeth11, as for religion, Anglican High Church.We actually are the neucleus for the worlds civilisation. When they abandoned their ship, I bet they headed straight west for Heavener, Oklahoma. As Dale said, all religions are bunk. Follow who you will, God is a mysterious entity we have ( to our detriment ) built many ideals and ideas around… Some of them good ones… Perhaps he waits for us. These Vikings worshipped many Gods that were practical in regards to their harsh environment and survival. No matter the God, blind faith has kept much and many alive and well over the centuries on the one hand… The other hand, not so good.